I love historical fiction, and I love paranormal books. 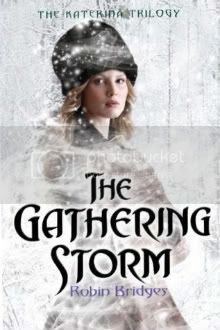 A Gathering Storm sounds like a great blend of the two! I'm also excited to read something set in Russia. OOh haven't heard of this one! Sounds interesting! This looks a really good historical fiction. Good pick! New follower!